Baseball glove seat designed by Jonathan De Pas, Donato D'urbino and Paolo Lomazzi for Poltronova, Italy 1970. 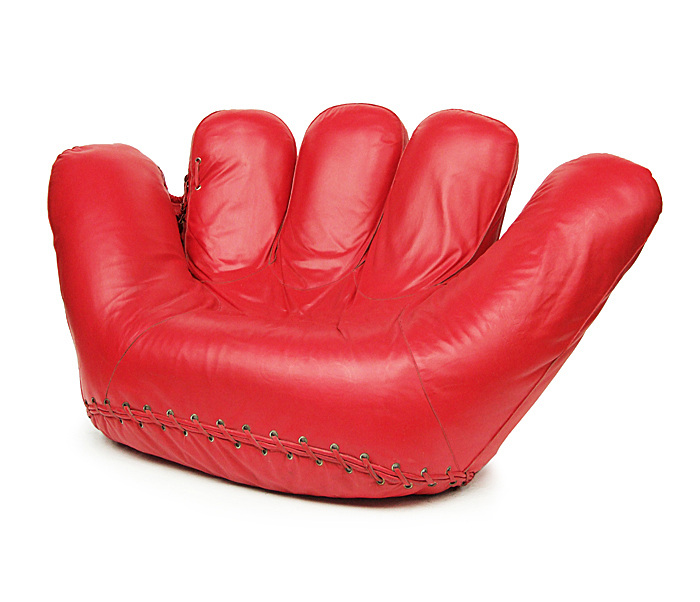 Polyurethane foam construction upholstered in red leather with brass eyelets. Four castors.